These case studies demonstrate the depth and breath of our work. From feature films to highlight reels—we deliver accurate, nuanced translations. 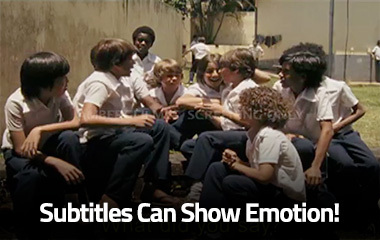 Check out how we bring emotion into subtitling, how we find the right actors for dubbing, and how we bring the world to life for the hearing-impaired. Our goal is to bring your content to life in over 150 languages. Viktor, a Franco/Russian film starring Gerard Depardieu and Elizabeth Hurley, is about an art thief investigating the murder of his son. Our client needed a scene translated in an obscure dialect of Chechen that only 40 people speak. Even more challenging was the fact that the scene had folklore idioms associated with it, as well as children speaking. Through research and networking we found a Chechen-American to translate the scene. We turned the project around in just a few hours as the pressure was high! CMI has the capability to translate in over 200 languages, even ones that only 40 people speak! Boys of Kichute, a Brazilian film about boys coming of age in the 1970s, came to CMI for review of the subtitling. Our experts looked at the existing subtitles and found the dialog was flat, without emotion and idiomatic reflection was missing throughout. Adding humor and sarcasm is challenging but the extra effort paid off. 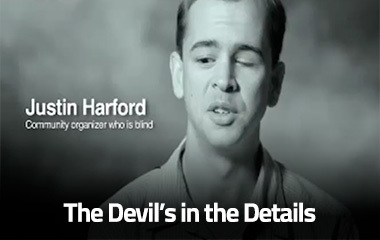 The film was previewed at the University of Southern California and the audience responded with laughter and tears. The Brazilian audience members came to the director onstage to tell him how the subtitles reflected the original spice and the message, as if English were the original language. Our client was also overcome with emotion as he saw his work come to life for foreign viewers. 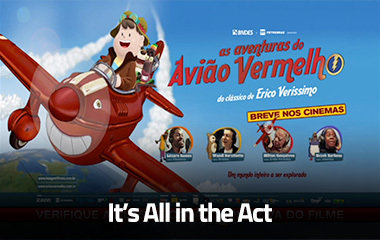 Dubbing the highlight reel for this Portuguese cartoon, The Adventures of the Red Airplane, was an adventure in itself! With chickens, elderly people and a high-spirited boy, we needed specialized actors to make sure the characters sounded authentic without being too cartoonish. We cast theater actors from NY and LA, who contributed the right personality and nuance that made all the difference. Detailed attention not only to the technical aspects, but also to character and casting, is what CMI is known for in the industry. For Audio Eyes—Moving Out Into The World, CMI was asked to develop closed captioning for a highlight reel about visually-impaired students taking a risk and travelling the world. To bring these adventures to life for the hearing-impaired audience, we took the time to add extra ambiance with written sound effects like “wind howling” and “market chatter” in order to reflect additional atmospheric nuances. As a result, our captioning had “eyes”. The trick in Captioning is to create captions that are informative without being intrusive so that the reader doesn’t even realize they are reading captions. This extra attention to detail is what CMI brings to every project…the viewer experience is our passion.